At first glance, the North Country does not look its best in November. For those who do not fly with the geese, it means looking a little harder to find the sustaining beauty that rewards any kind of weather. After so grandiose an autumn display, it’s easy to become discouraged; after long bright evenings, sunset comes too soon. I get it – bigly. There is the weather in the head, and the weather of the world. But wait, look a little closer. off south, fleeing flurries from the north. 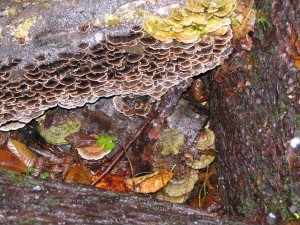 on a stump, a tawny tamarack amid dark cedars. a brave resistance to the sudden evening. as dreams swim like fish beneath thin ice. 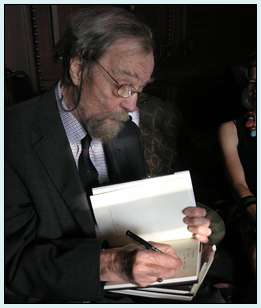 The poet Donald Hall died this week. Never say he “passed away;” he loathed euphemism. Though we never met except as a reader does, upon the page, I felt a kindred spirit at work in him. Being the age of my father, you might say Hall was the sort I wanted to be when I grew up – should that day ever come. I liked his dedication to place, firmly planted as he was upon the farm, Eagle Pond, where his great-grandfather settled in 1865. And I loved the clear intent to communicate in ordinary language to ordinary people that his work displays. He believed that plain language sufficed to convey the most complex mixtures of thought and emotion. “Everything important always begins from something trivial,” Hall said. Though he often achieved it, he did not insist on depth as a key value for individual works of art. To be beautiful was sufficient to justify any poem. And as I age myself, I appreciate being witness to his own journeys through love and loss, and to his ripening acceptance of the necessity of mortality, even his own. As a writer, he said, “I expect my immortality will last about six seconds after my funeral.” In that, I expect, he was incorrect. Here’s a poem for Donald Hall. being made of meat, not stone. Growing up in the North Country and with family well inland in Pennsylvania and Indiana, I was twelve before I ever saw the ocean. I couldn’t get my mind around it. I still can’t, but I find myself drawn there whenever the opportunity arises. So I spent the week before this with my wife in southern Maine, along one of our favorites stretches of the land’s margin. from here clear to the curve of the earth. the cries of gulls, the trill of songbirds. But my eyes seek beyond the breakers. immersed; just to hear to be in synch. my attention is drawn to distances. of understanding it, only to fall away. The sea, too, finds its limit at the shore.